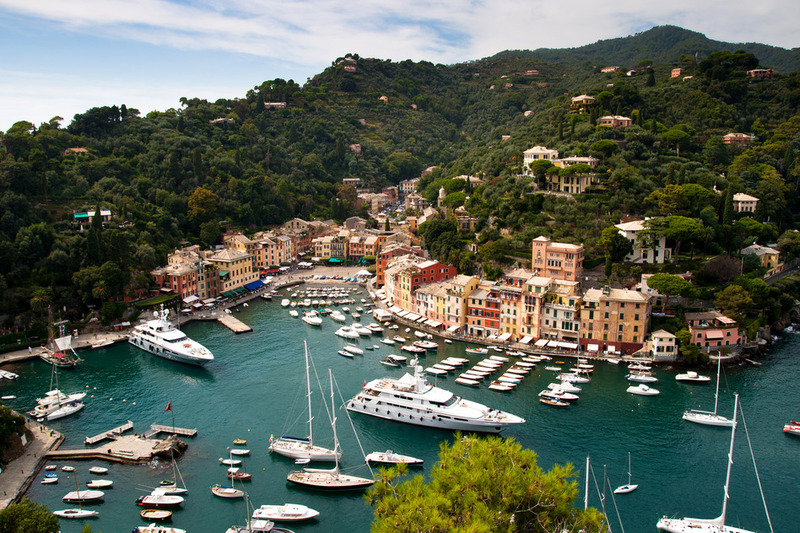 “I found my love in Portofino.” So sang the Italian crooner Fred Buscaglione in his 1958 hit, Love in Portofino, thereby making this pretty little port the queen of “La Dolce Vita” of that era. The historic fascination of this place, which the Romans called Portus Delphini (“the Port of the Dolphins”), has a timeless quality. It nestles in the rich vegetation of the promontory, a protected area both in terms of land and sea. The old workshops may have been replaced by designer label fashion stores, but the multi-coloured houses and little alleys are unchanged. And in the high season the town’s population will jump from a few hundred to several thousand, thanks to the influx of tourists. In the bars and restaurants in the main square you can take your place alongside polticians and industrialists, European royalty, not to mention film stars, professional footballers, the owners (and their guests) both of yachts moored in the port, and of villas hidden in the lush vegetation. In order to enjoy the view you should make your way up to the Church of San Giorgio (St. George) and the Castello Brown (Brown Castle) which dominate their surroundings. From here a path immersed in rich vegetation will take you to the lighthouse at the tip of the promontory. The more athletic among you can walk along the mountain’s coastal path to the bay of San Fruttuoso and its ancient abbey. The views along the way are breathtaking. 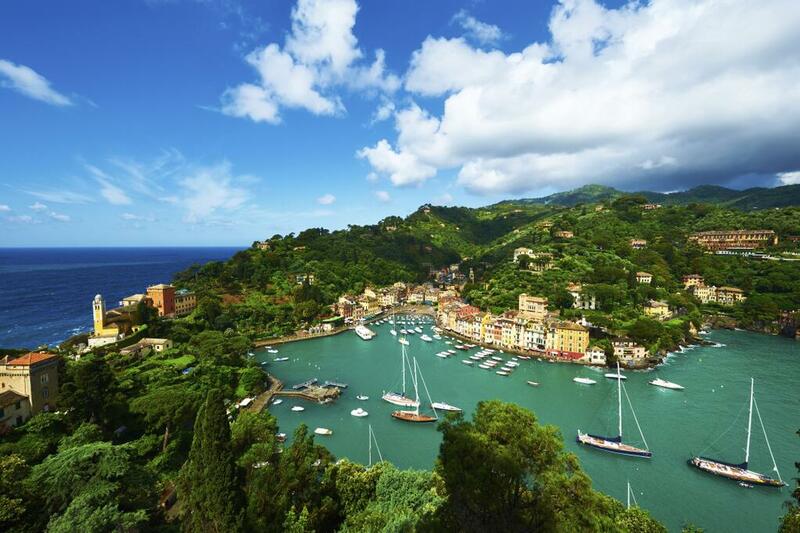 Around the Portofino promontory there is a marine protected area which bears the same name. This features the only complete marine reserve area (zone A), Cala dell’Oro (Inlet of Gold). No sailing, mooring or anchoring is allowed in this area. Along the coastline that runs from the tip of Portofino to Punta Chiappa (Zone B) boats longer than 23,99 metres are not allowed to sail. An exception is, however, made for the access channel to San Fruttuoso, which is accessible for vessels less than 24 metres in length. The rules are less strict for Zone C, which comprises the bays of Paraggi and Portofino, as well as the area between Punta Chiappa and Camogli, where it is possible to sail at right angles to the coast in order to reach the anchoring points designated by the local authority (www.portofinoamp.it). On land, the park of Portofino (www.parcoportofino.com), with its 80 km of paths in little more than 1,500 hectares, is a veritable paradise for nature lovers. It also features a surprising variety of natural habitats. 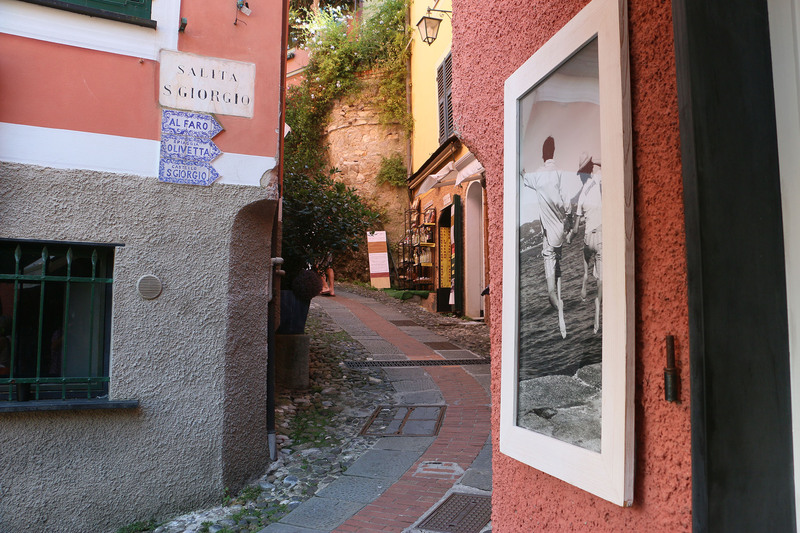 The area includes the towns and villages of San Rocco di Camogli, San Nicolò, Nozarego and San Sebastiano, as well as important examples of rural archaeology, including windmills and olive presses.